Mother Teresa shares the heart of Jesus in a way that will inspire you to love those who are forgotten and neglected-no matter where they live. Besides Mother Teresa's reflections on the poor and sick, Loving Jesus includes a wide-ranging interview with Mother Teresa and a biographical sketch pinpointing important developments in her life. 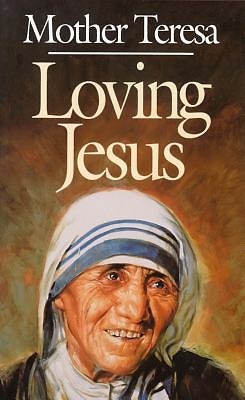 Loving Jesus is not simply the title of a book but a way of life for Mother Teresa. It will encourage you to follow her example. A Servant Book.